Rachel graduated from Bon Losee Academy in Provo, Utah in 2005 and has worked with Aveda products and hair color since 2008. In that time she has received advanced education offered through Chroma from various Aveda Global Artists. Most recently inspiring to her has been Jeffery Scott's Color Technique Vs. Placement class, which demonstrated fresh ways to create dimension in hair color. Rachel is most excited about creating natural-looking dimensional highlights. Balayage is one of her favorite techniques to implement. Because of it's versatility, she can truly customize it to each guest. 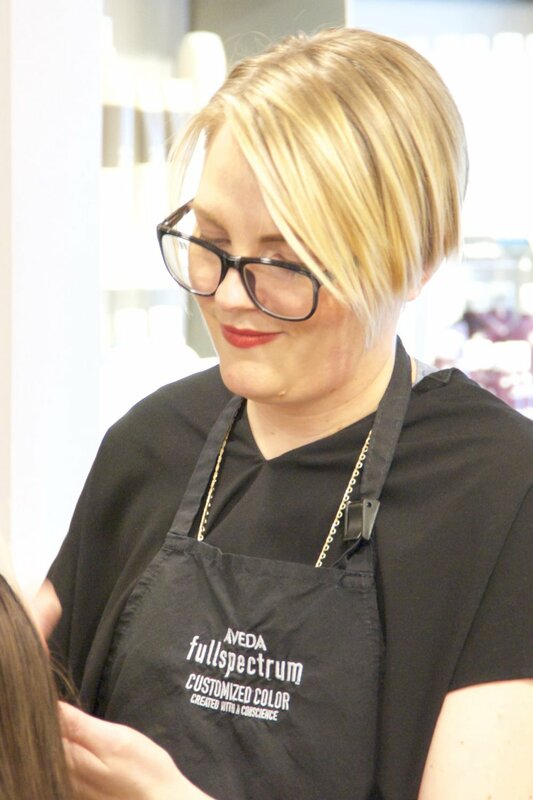 Rachel is always thrilled to create an above the shoulder precision bob or pixie haircut and believes she can help everyone find a style that looks amazing on them while best fitting in with their lifestyle. When away from the salon, Rachel enjoys cooking, reading, and relaxing in nature. Favorite Aveda Product: Thickening Tonic. It’s an invisible plumper that adds mass to the hair, thickens with just one use, and has a built-in heat protectant.